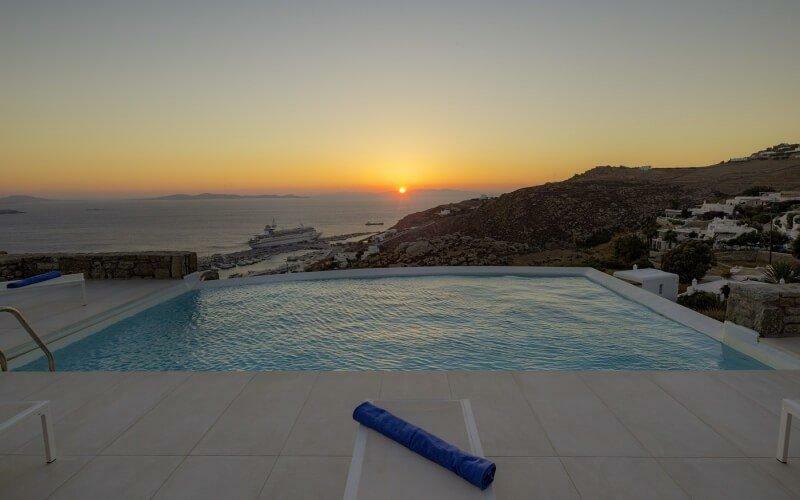 Villa Amelia is your perfect luxury villa for relaxing, sunbathing and soaking up amazing views in Mykonos! 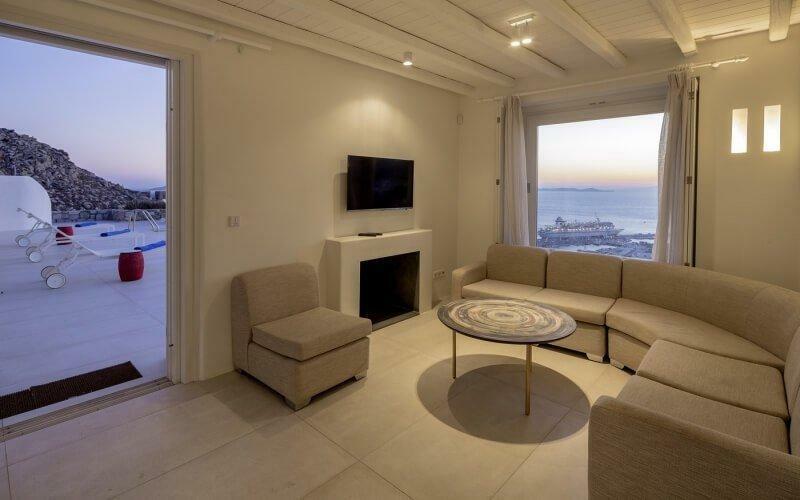 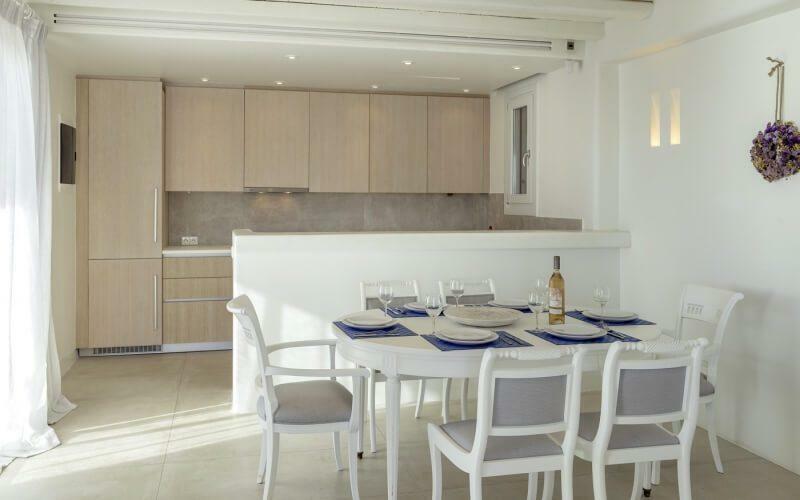 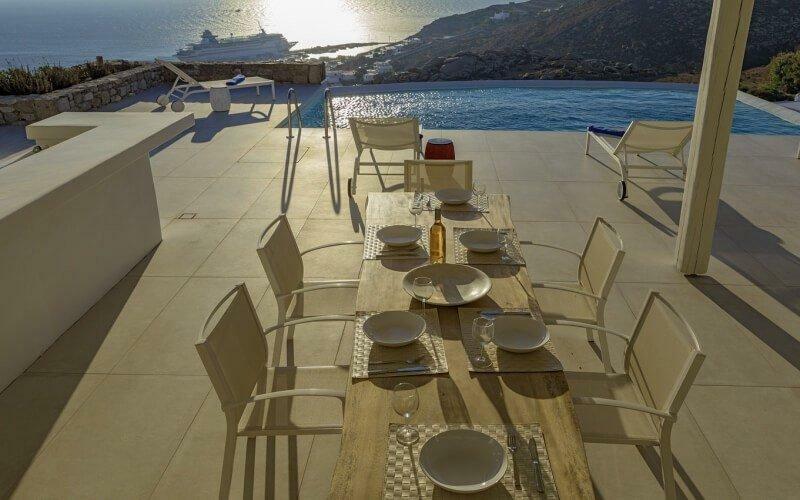 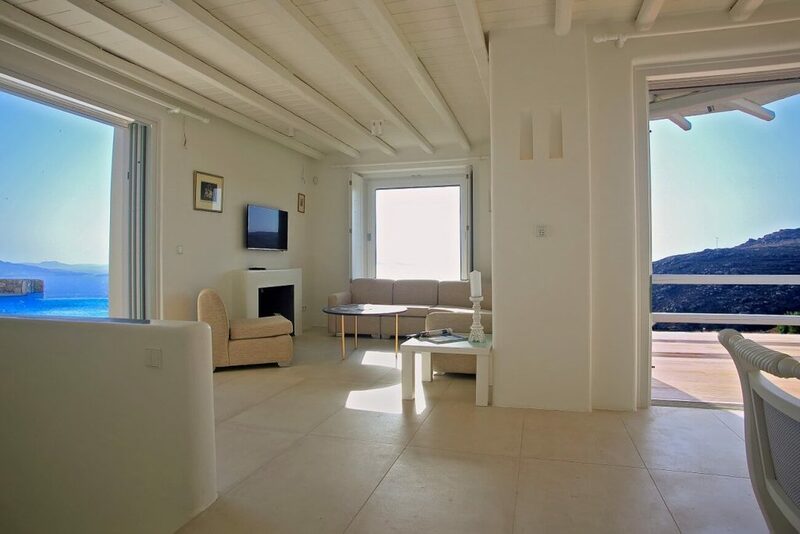 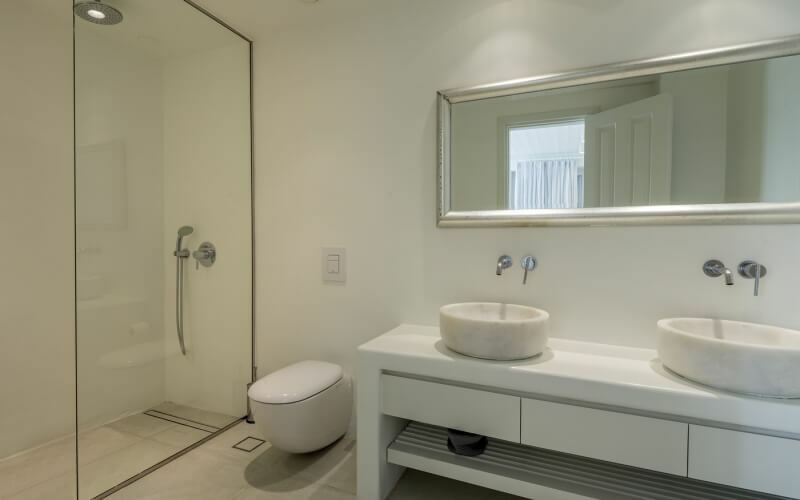 Ideal for a family reunion, a retreat, or any gathering for 8 guests, the villa provides, among other things, a picturesque view of Mykonos’ new port with its ships coming and going. 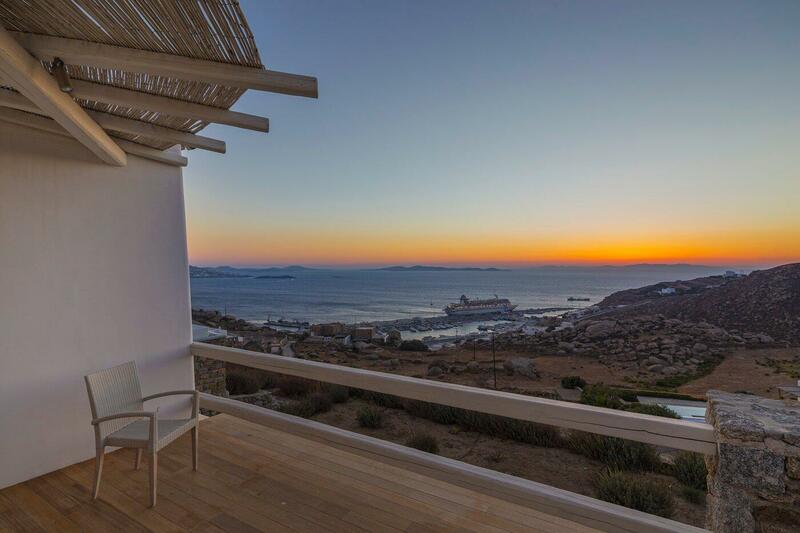 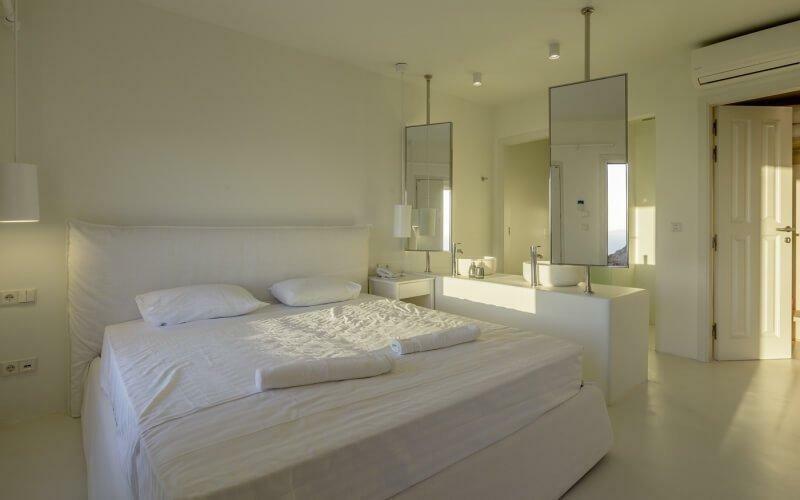 About a 10 min drive from Mykonos town, it is conveniently located for quick trips for shopping or for trying out the large selection of restaurants and bars! 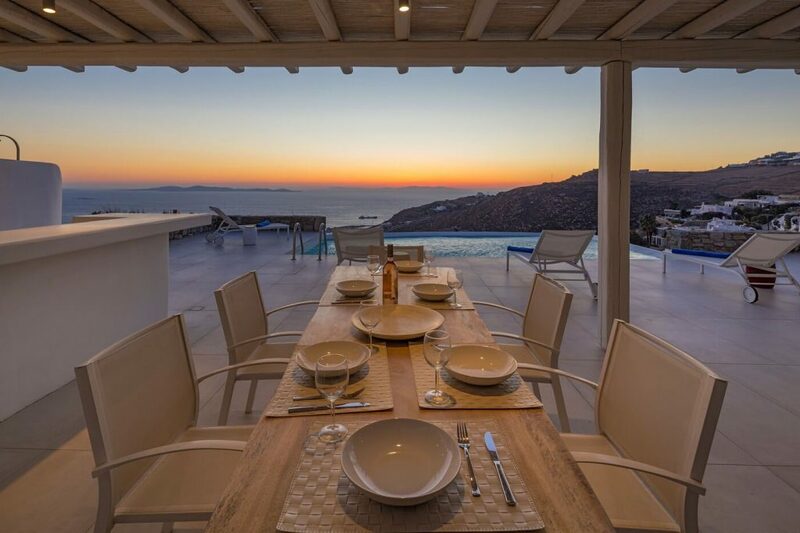 Villa Amelia is also within a 15 to 20-minute drive from several popular beaches: Psarou, Ornos, Agios Ioannis and Agios Stefanos. 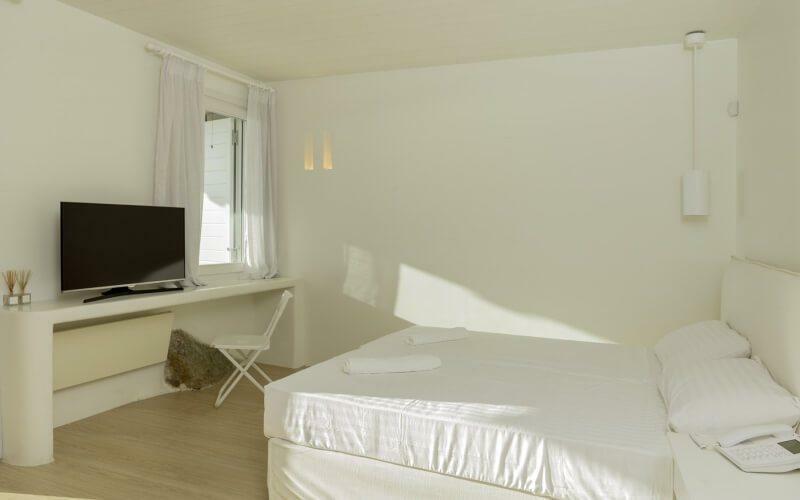 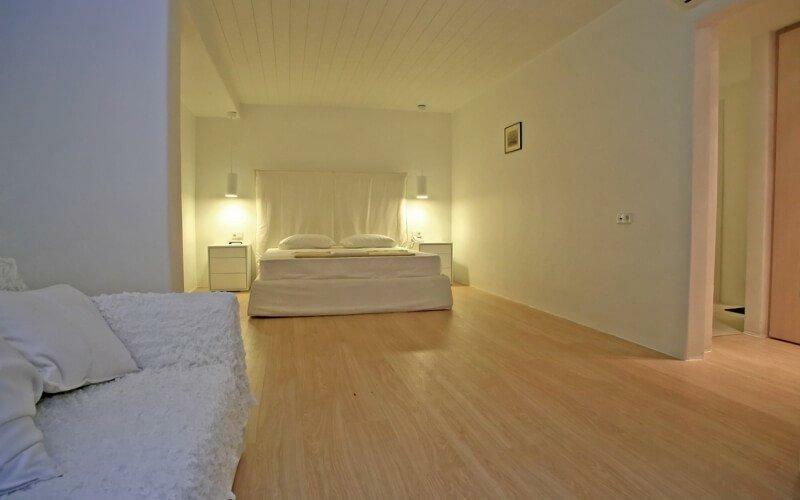 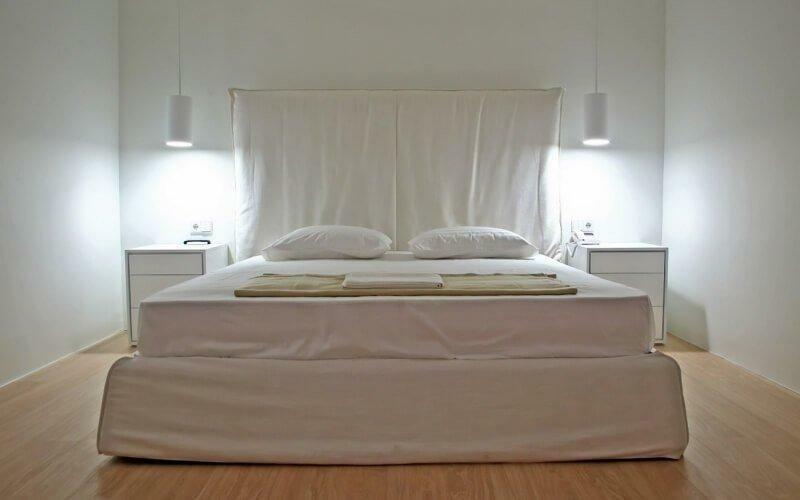 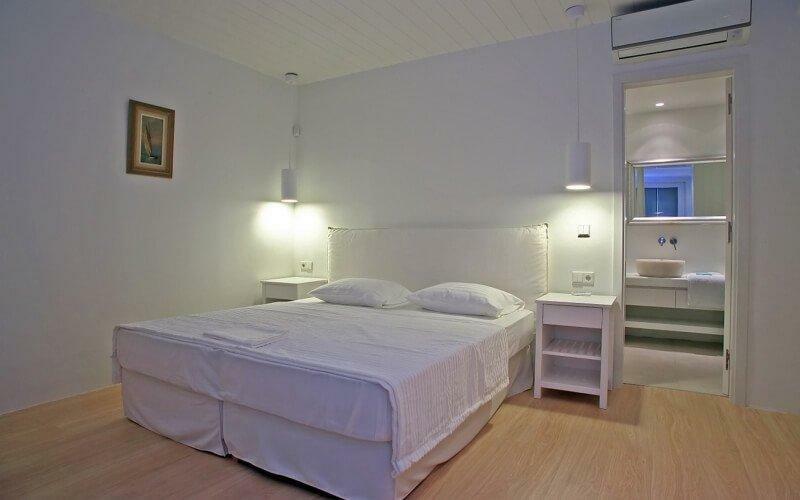 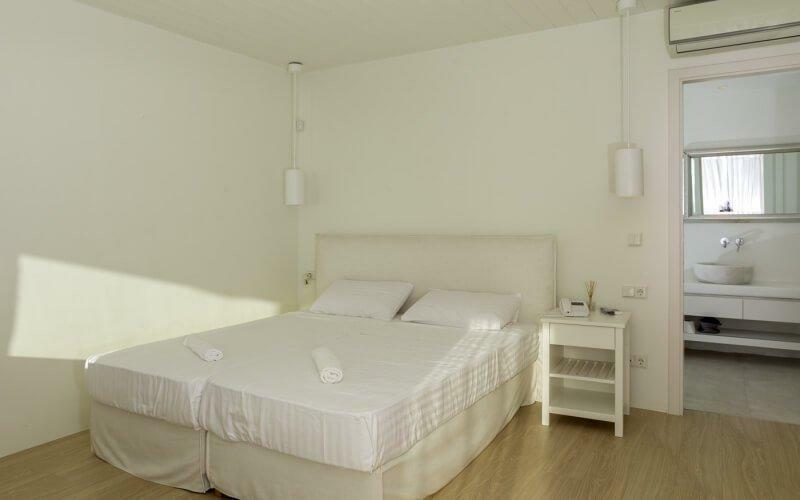 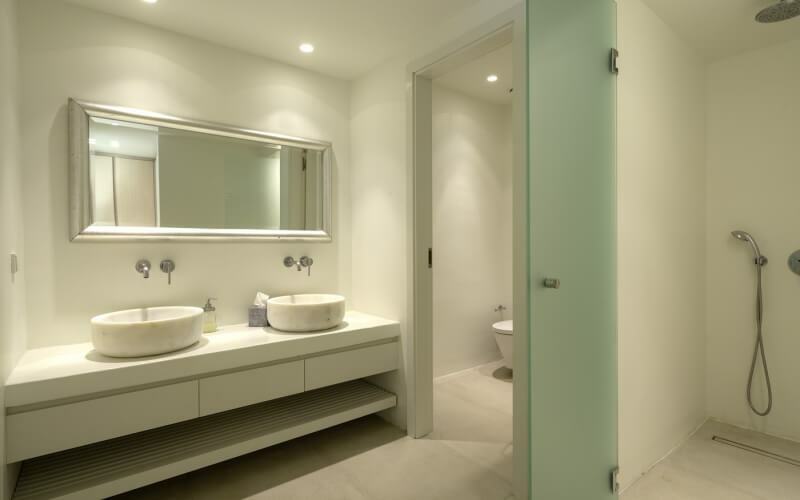 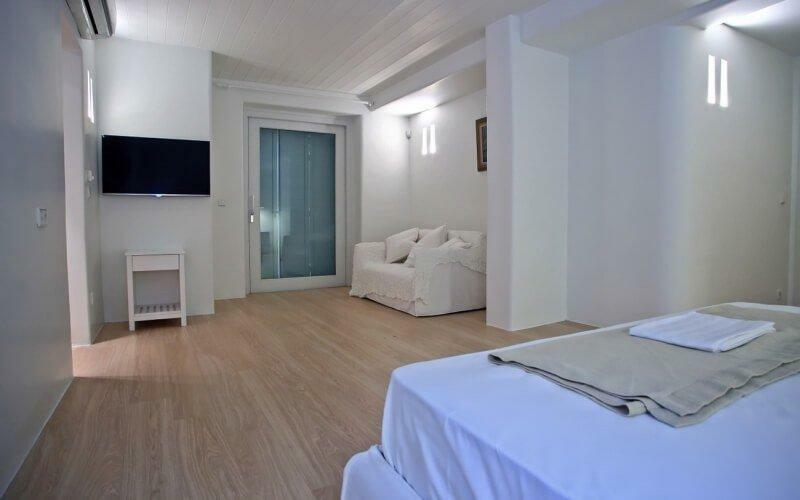 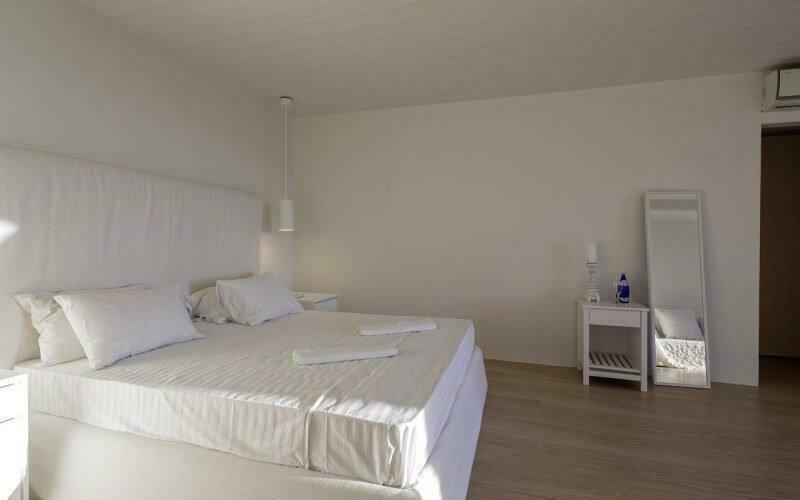 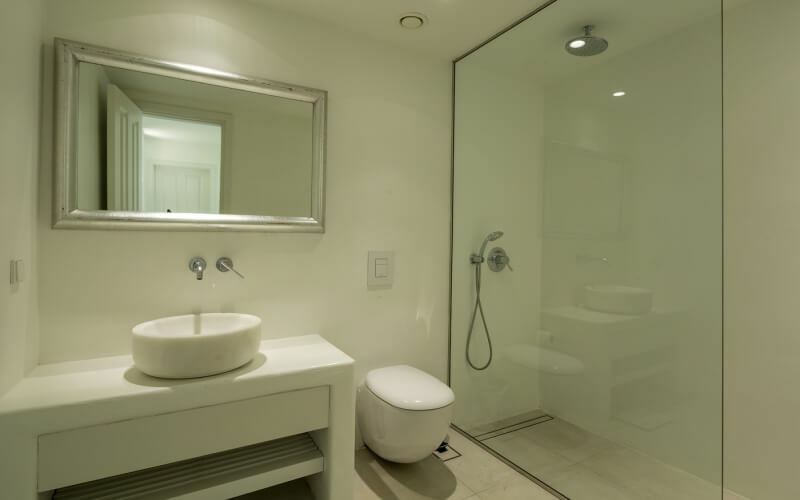 climate control in all rooms, indoor sound-system, DVD player, free wi-Fi and satellite and cable TV. 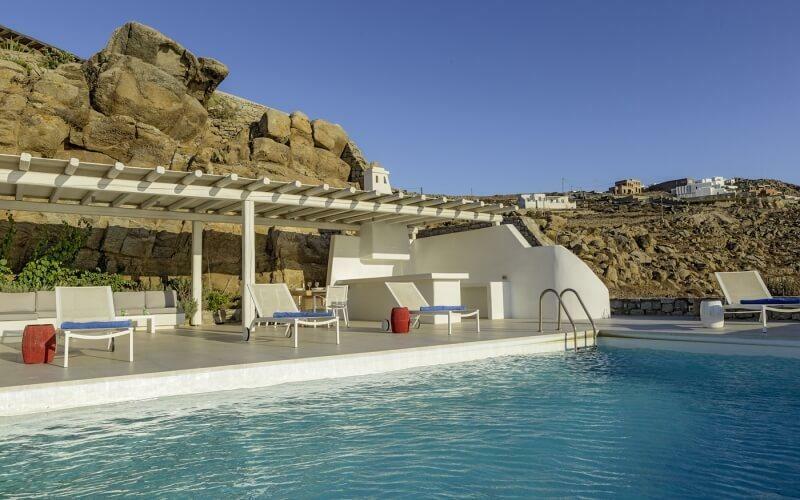 Outdoors, everything has been carefully designed to make sure guests have the best time possible – from the infinity pool and its surrounding pool terrace to the bar by the pool and the outdoor shower.